We are serious about open source and cross platform. We are building a .NET Core CLR for Windows, Mac and Linux and it will be both open source and it will be supported by Microsoft. It’ll all happen at https://github.com/dotnet. We are open sourcing the RiyuJit and the .NET GC and making them both cross-platform. 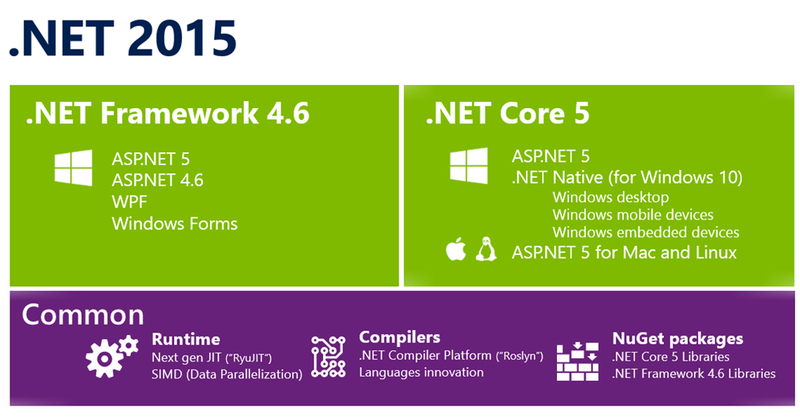 .NET Framework 4.6 and its Reference Source source is being relicensed under the MIT license, so Mono (and you!) can use the source code to the .NET Framework.